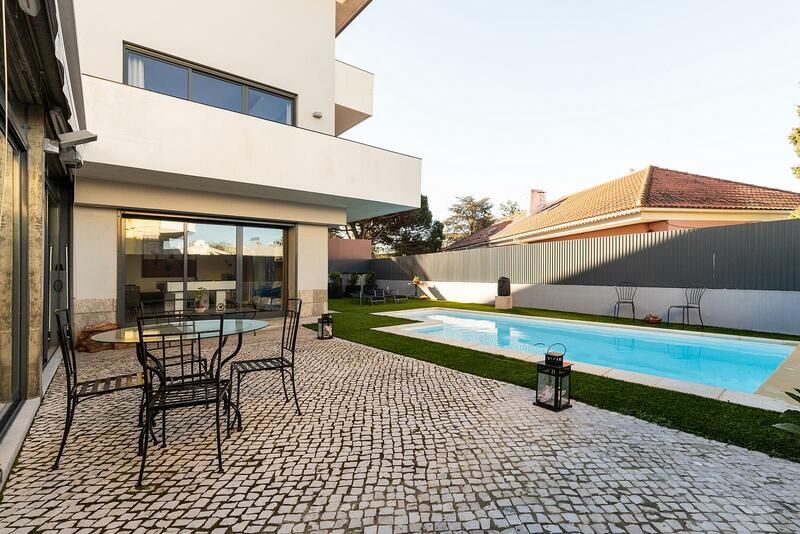 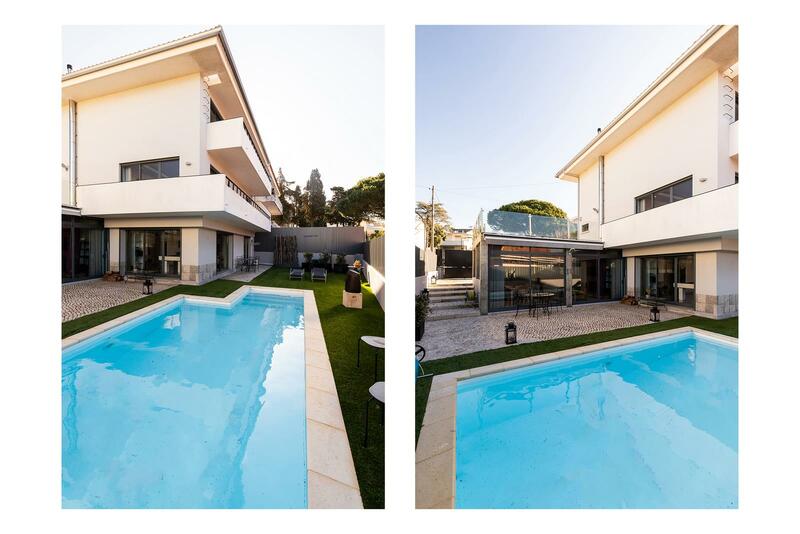 Villa, with view to the river and to Monsanto located in one of the noblest and safest areas of Lisbon – Restelo. 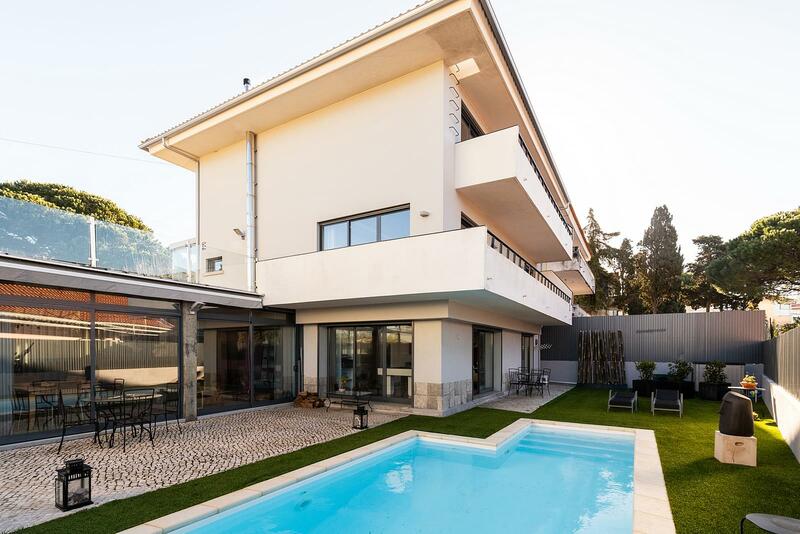 Composed by three floors, this villa is inserted in a 467 sqm lot and it was fully recovered and modernized by an architecture office according to the design of the present times. 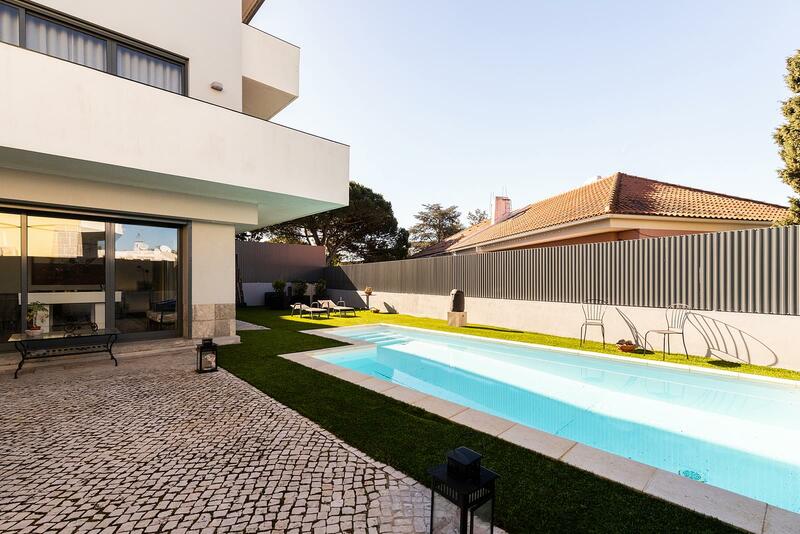 Some details stand out for its refinement, such as the living room with terrace, the glassed living room of the garden, with fireplace, the heated swimming pool, the kitchen that supports the garden and the second living room with direct access to the garden and swimming pool. 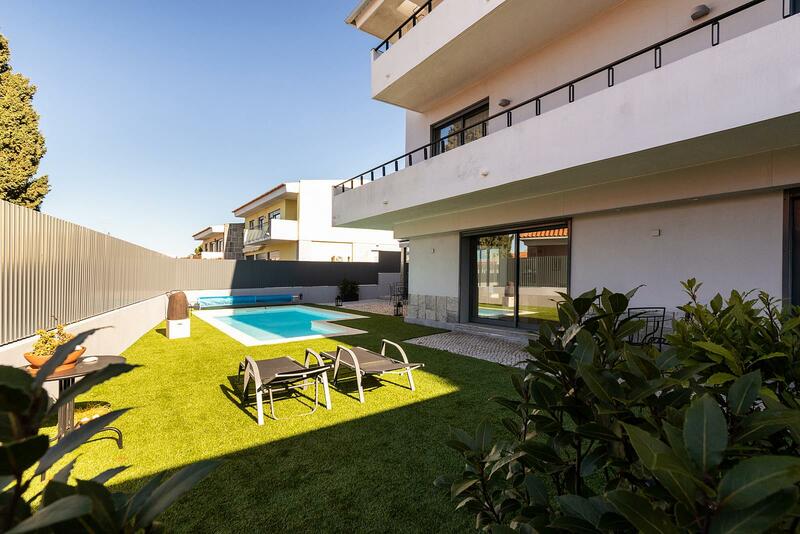 This second living room is quite versatile and may be used for different purposes.